Consider this my comeback wallpaper after a looooooong hiatus, lol. Since almost everyone and their grandmothers have already seen FFVII: Advent Children, I decided to do my first wallpaper in a long time dedicated to that movie. Hope you all like this one. 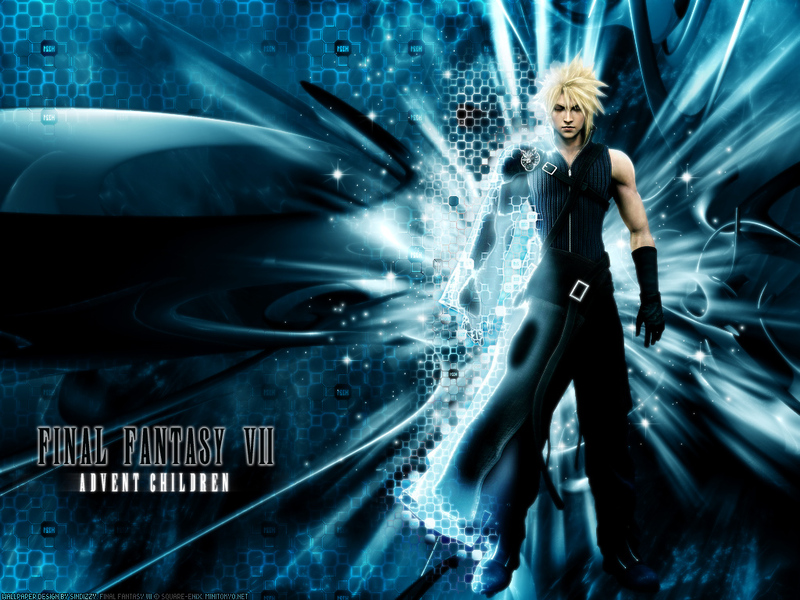 Browse Final Fantasy VII: Advent Children Gallery: Recent | Popular. O, my .............. Wow, this is brilliant. This is really something different from the others I have seen. nice job.... i really like the wallpaper. the effects are awesome. welcome back and good job. I actually haven't watched it yet, XD. Waiting for the DVD. Cool concept. Very well created and stunning to look at. Cloud really stnads out and the colours work well with each other. Brilliant! I'm lovin this wall! great job! one of the two could be used to describe this. Really an awesome cool wallie there! wao!dis looks diferent wif other FFAC wall! good work!cloud is so cool! Thanks for posting it up. I`m going to save it. this background absolutely OWNS ALL THE OTHER BACKGROUNDS! WOW.. *lost for words* just WOW! this one blows me away! beautiful.. it's fabulous.. great job! this one if definitely going to my faves =P! i luff every single detail from this.. it captures a side of cloud in the a most beautiful way =3! thank yoou for this wallie ^^ ! great wallpaper! its soo awesome..
WOW, I really like the background and the light behind Cloud. Cyborg like hehe.